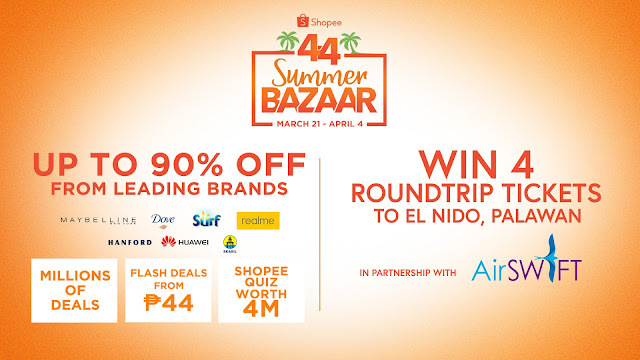 Shopee gears up for the peak of the biggest online summer sale, the Shopee 4.4 Summer Bazaar, on April 4. 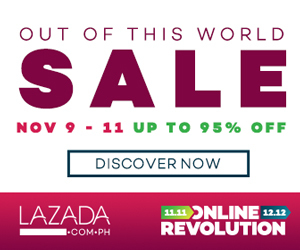 On the day, users can save big with up to 90% off leading brands and partners, including Maybelline, Dove, Surf, Realme, Huawei, Pedigree, Hanford, and Seaoil. Exciting prizes await users including a sponsored trip to El Nido for four from AirSWIFT. In addition, from April 3 to 5, users can look forward to the P&G x Shopee Super Brand Day, offering up to 30% off leading P&G hair care brands including Pantene, Head & Shoulders, and Rejoice. Jamba Juice: Until April 7, Shopee users can flash their Shopee app at selected Jamba Juice stores to get an exclusive discount on any of their four Jamba Juice Best Blend Favorites. MVP Rewards: Until April 4, Shopee users can also get an exclusive ₱100 discount from MVP Rewards by using the code MVPREWARDS44 upon checkout. Thewata Hernandez, just like you I am incomparable. I can probably finish things I have set by giving my best to achieve it. Living in such fantasy world is out my world, I am living my life the way I want it (everyone should be). Food is good stress reliever and sweets are best to taste to feel better. I love watching movies and dramas. I'd like to learn more about cooking and baking pastries (hope so).